Thanks to this man, you can add being bashed in the head with a hammer to your list of subway fears. 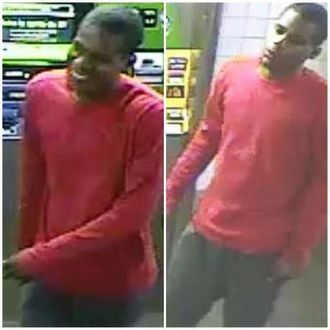 On Wednesday morning, he sneaked up behind a man at a MetroCard machine in the Rockaway Avenue station in Bedford-Stuyvesant, hit him in the head, and demanded his money, according to police. The 32-year-old victim handed over $140 and the suspect ran off. Police believe this is his third attack against commuters. On Sunday morning, a 24-year-old man was hit in the head while buying a MetroCard in the same subway station. The suspect continued beating him when he fell to the ground, and took his wallet.